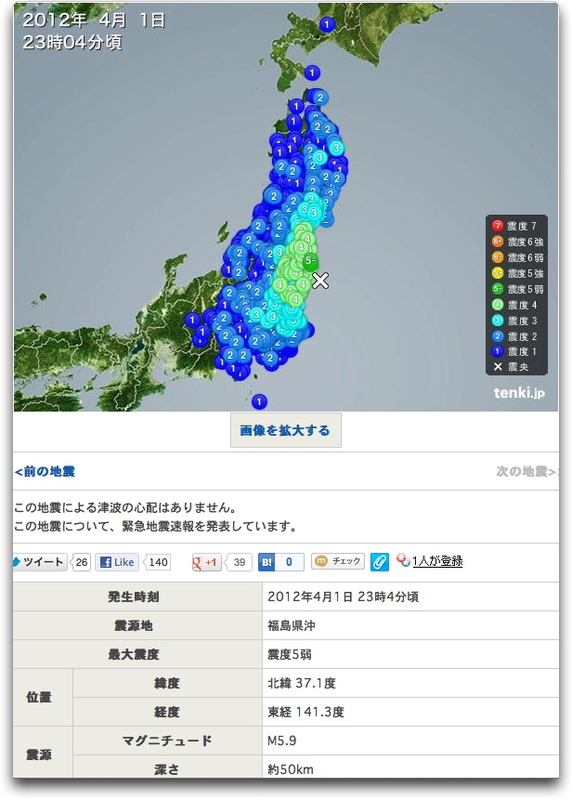 It was a Richter magnitude 5.9 quake just now, 5- on the Japanese scale of 7 at the epicenter just off Fukushima. Here’s the map. The tsunami warning has been called off.